When the WordPress people says your dot com is about to expire, they really mean it. We almost lost control of You’ve Got Nae this week… but we’re back! It’s 11:12 p.m. and I’m following the exact opposite advice I’d my clients, by deciding to blog after everyone goes to bed. Because when you want to write content people want to read, you want them to read it while they have their eyes closed (said no content strategist ever). It’s 11:14 p.m. and I’ve just gotten home from art class #5. 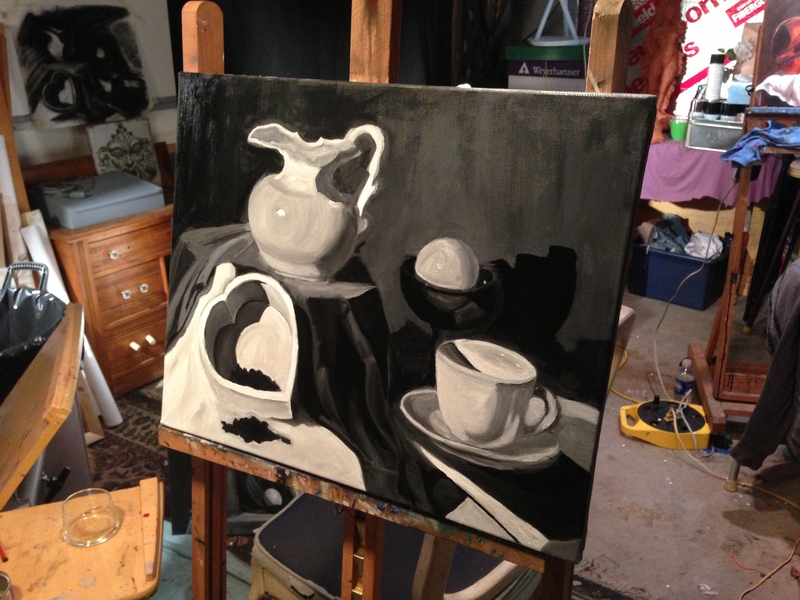 The Boy set me up with oil painting lessons for my birthday in August – little did everyone know just how terrible I am at drawing (okay, I may have had an idea). So night 1, we started with “This is a pencil.” Night 2 we worked on me not dragging my arm through my charcoal sketches so much. Night 3 I actually got to use a paintbrush. Remember when I used to update this daily? At least twice per week? Here’s a sampling of all I haven’t blogged, in much shorter versions. Read your leases carefully. Because when your new landlord says, “Heat and hot water are included, and we’re renovating the kitchen with all new fixtures” and your brain hears “Something about all the utilities are included and THERE’S GOING TO BE A NEW KITCHEN”… the utilities company comes 9 months later to shut you down and reclaim all of their money and then your 85-year-old landlady has to jump in to say “There must be some kind of misunderstanding Utility Company, please don’t shut them down” and then place the most adorable phone call to you that ends with, “Well besides all that, everything going well?” Our landlady is just so adorable. Also, that bill was miserable. I really hate those “25 things you should do before you’re 25” and “20 ways you’re spending your 20s wrong” and “35 reasons everyone under 35 is a spoiled brat” and “Here’s 5 Reasons Generation ____ is Screwed” articles. Not the goofy BuzzFeed ones – the emotionally charged articles that always seem to boil down to A) Everyone in their 20s should be aiming to save/disrupt/explore/experience the world; B) Everyone in their 20s needs a reality check and should just get a job; C) Everyone in their 20s should be drunk and high and up all night while they can; D) Everyone in their 20s is an irresponsible freeloader. But really. I’m pretty done with these articles that make us feel the need to categorize us and define us by our age or the decade we are born in, and not by the grown-up choices we make because we are individuals. Last note – everyone should attend a Murder Mystery Dinner once in their lives. 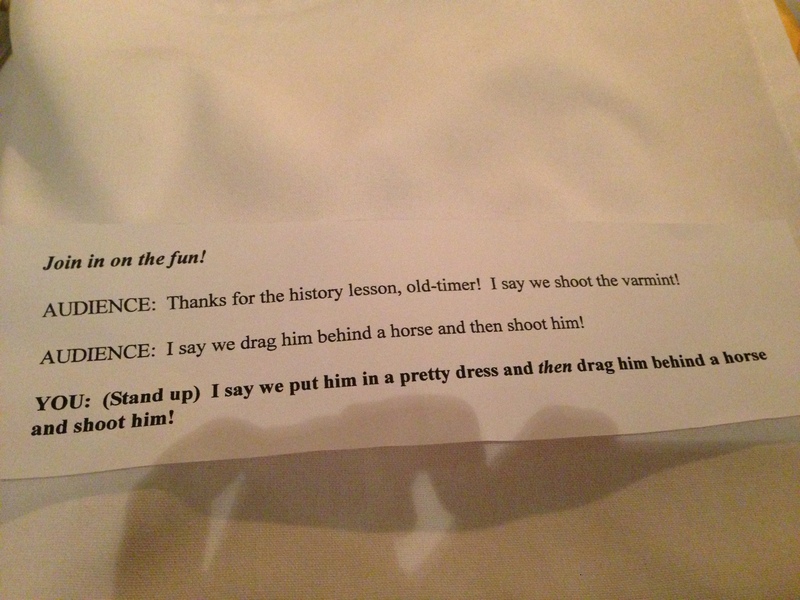 So that your date can stand up in your fake 1850s Wild, Wild West town hall meeting to yell “I SAY WE DRAG HIM BEHIND A HORSE AND THEN SHOOT HIM!” And your friend can jump up and yell to the crowd, “I SAY WE PUT HIM IN A PRETTY DRESS AND THEN DRAG HIM BEHIND A HORSE AND SHOOT HIM!” And you and the other date in your group of four can exchange glances of relief that the actors picked out the two hams in the group while taking one look at you two and rightfully deciding we’re not loud or fun enough. 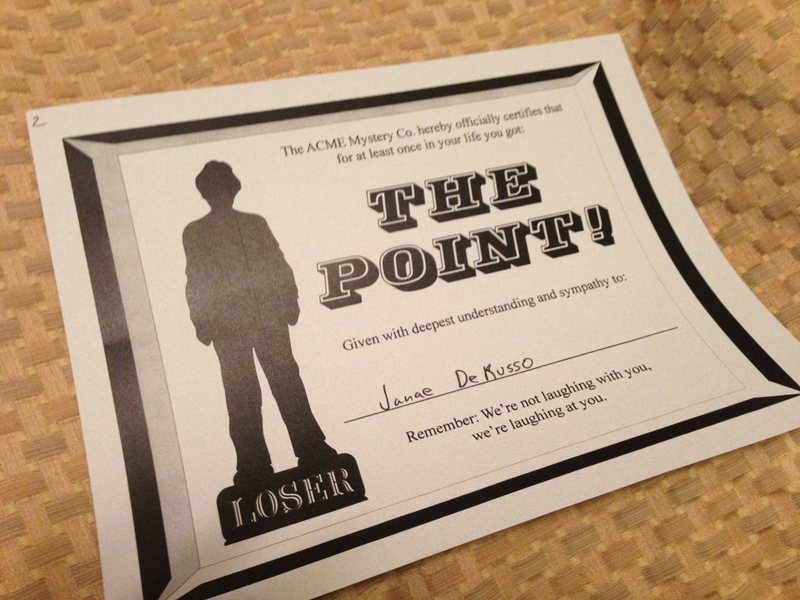 That said, I did win the runner-up award for being the worst mystery solver in the room. It wasn’t the mother-in-law, and she wasn’t even an option. There’s a glimpse of what’s new. And with you? It’s your turn to share stories. If not stories, can someone tell me how to beat level 199 of Candy Crush? I have an invite to Candy Crush but have never ventured there and y’know what? I think that’s a good idea 🙂 Glad to see you around. Good luck with the painting.